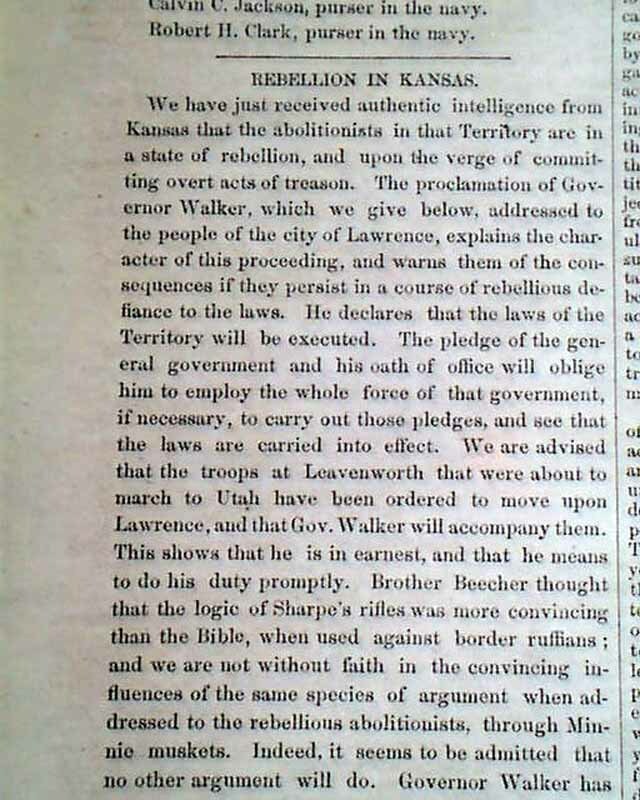 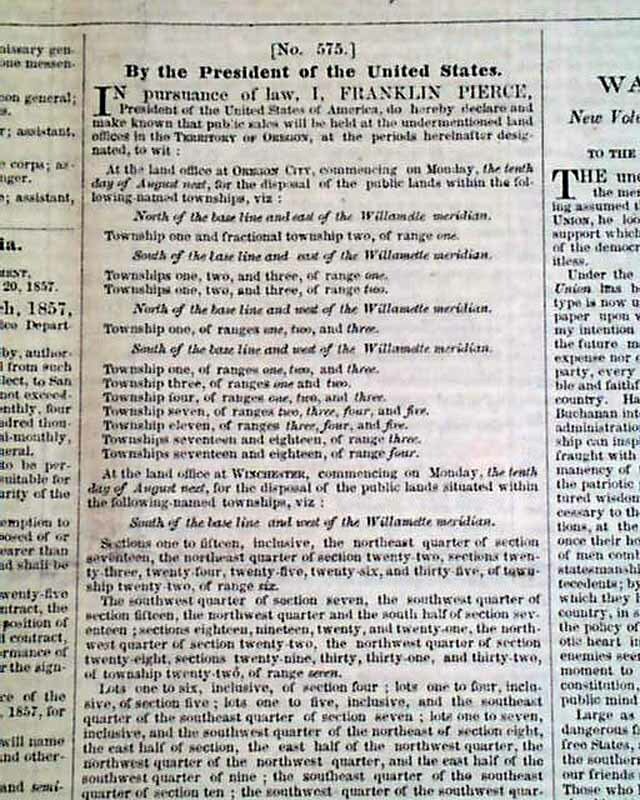 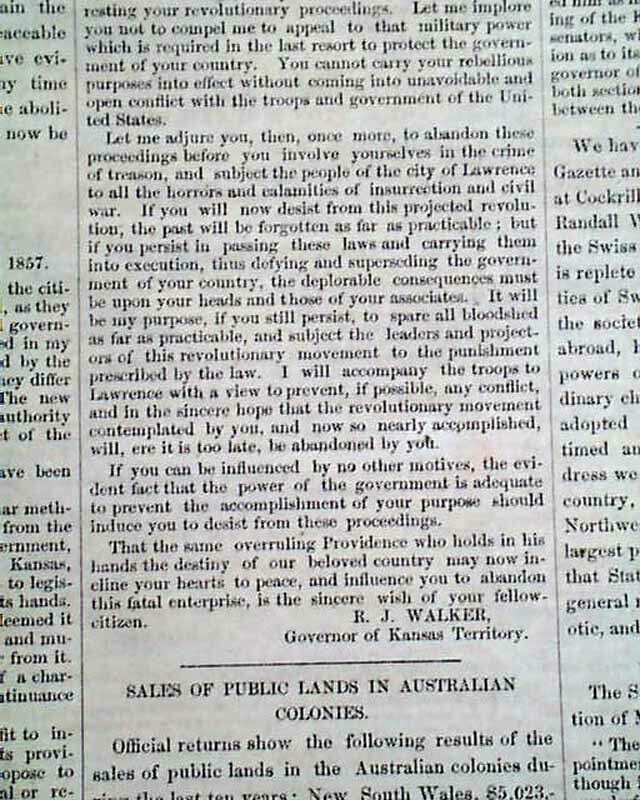 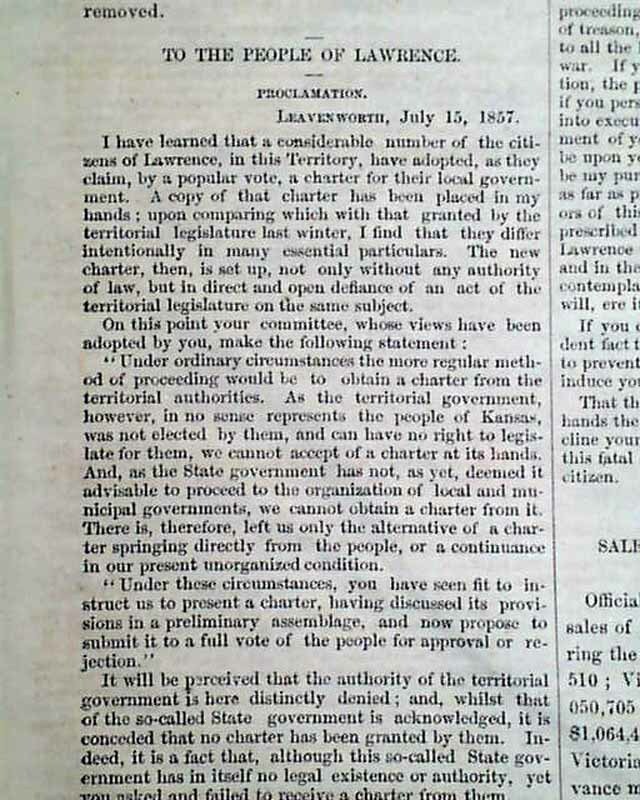 Page 2 has a "Proclamation" addressed "To The People Of Lawrence", signed in type: R. J. Walker, the Governor of the Kansas Territory. 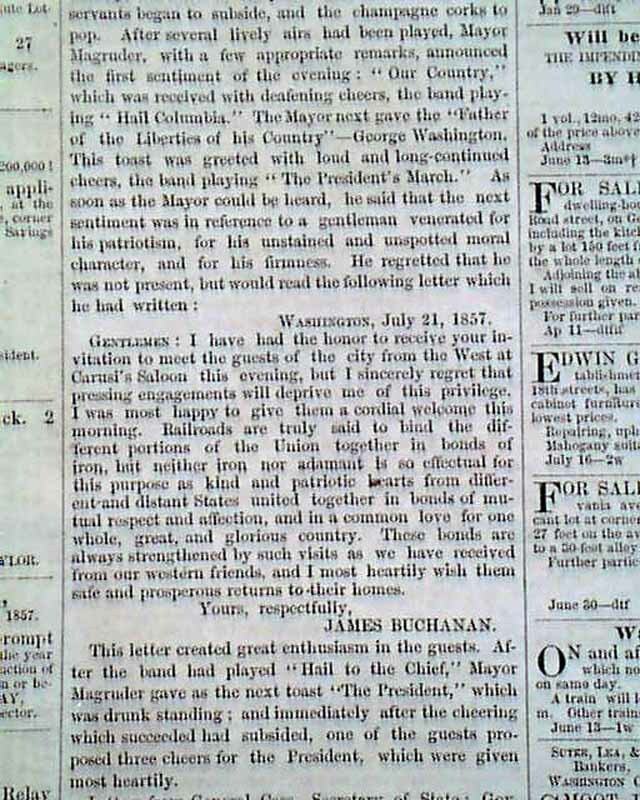 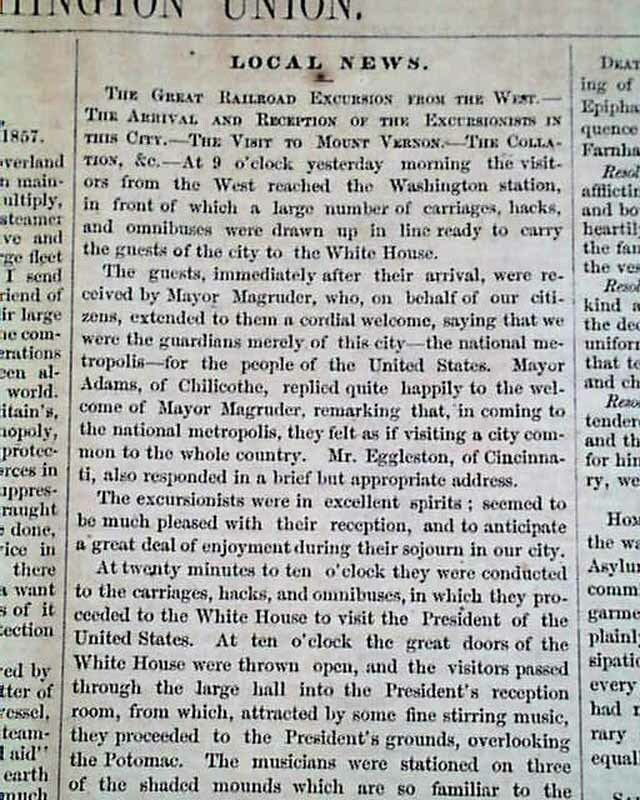 A page 2 report about the visit of the "railroad excursionists" includes a letter signed in type: James Buchanan. 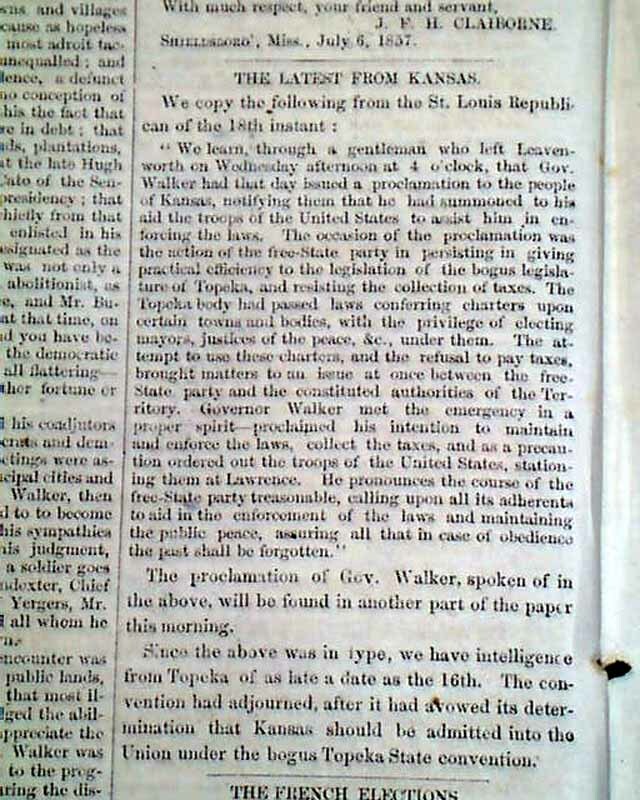 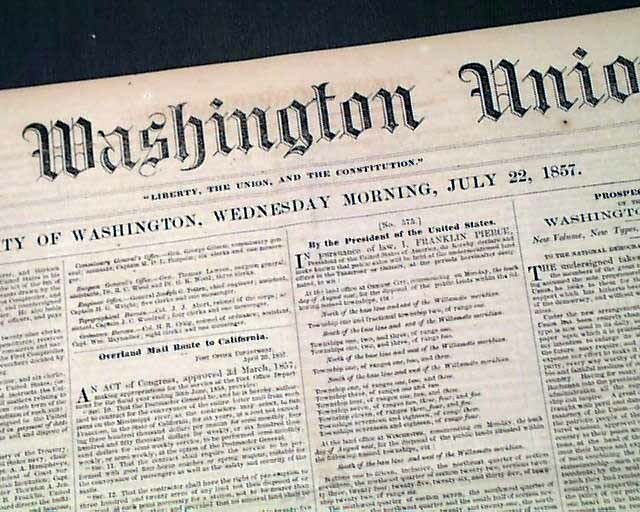 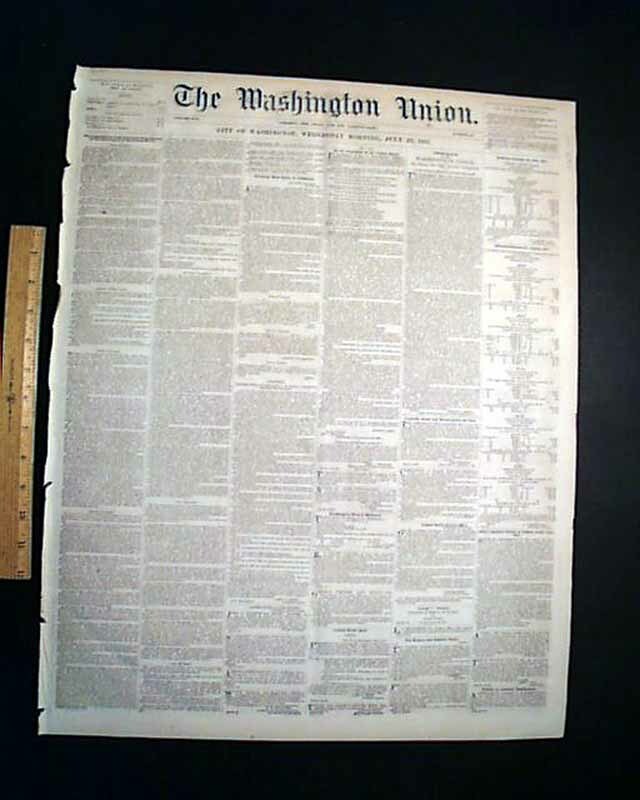 Other news of the day includes: "The Canvass In Missouri" "Rebellion In Kansas" "The Minnesota Indians" and more.